As summer moves on the Recovery staff has been busy doing many field activities! 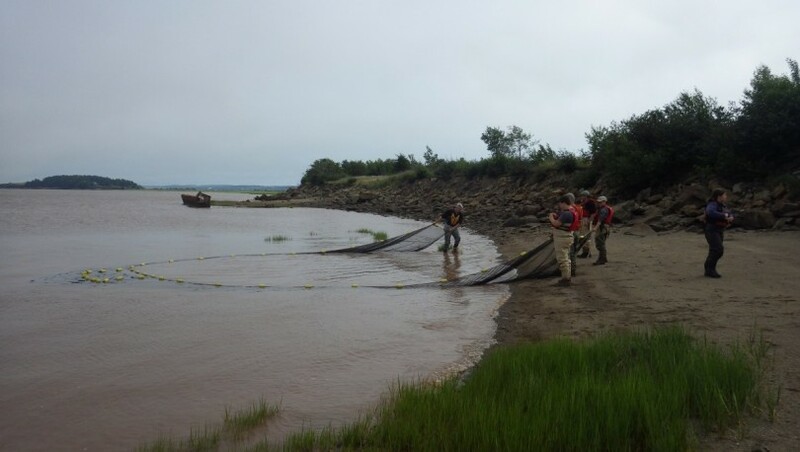 Some of these include culvert surveys, electrofishing, beach seining, working the fyke nets, and conducting snorkel surveys. 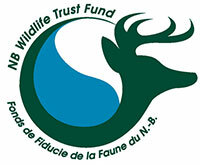 These are made possible with the help of staff from the Petitcodiac Watershed Alliance, Fundy National Park and the Department of Fisheries and Oceans. One end of a seine net (also referred to as a wing) is walked out into the water in a big arc then swooped back in to shore while staff on shore walk with the other end of the net to meet the other wing. This carrels fish in to a bunt or bag where they are captured and can be identified/processed. The top of the net has floats while the bottom is weighted down to ensure it has constant contact along the bottom so fish cannot escape.